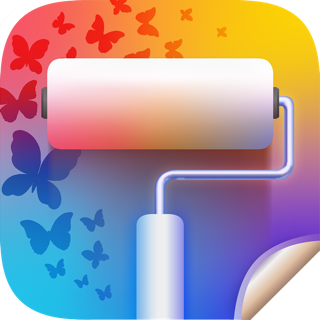 Duplicate Photos Fixer Pro is an ultimate photos fixing tool that smoothly scans and deletes duplicate or similar photos depending on the matching level you choose. This captivating tool works with photos from Photos and iPhoto, along with photos from external storage and your system’s hard drives as well. Free up ample of disk space by deleting a large number of similar and duplicate photos in just a click! 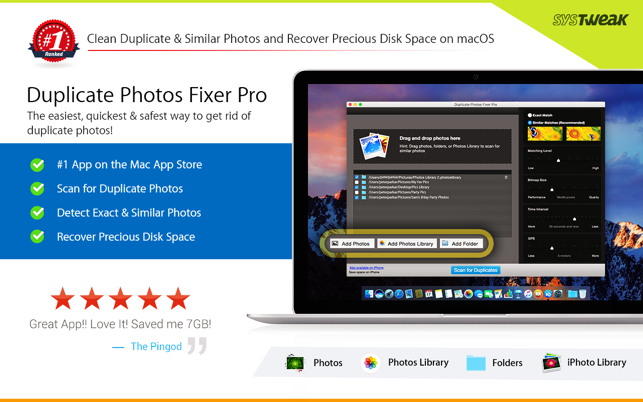 Why use Duplicate Photos Fixer Pro? Simply drag and drop folders to easily scan for photos inside them. You can add more photos from your Photos and iPhoto library and other folders as well. You can fully customize your comparison settings out of the available methods by adjusting the settings according to your requirement, regardless of the image size or format. 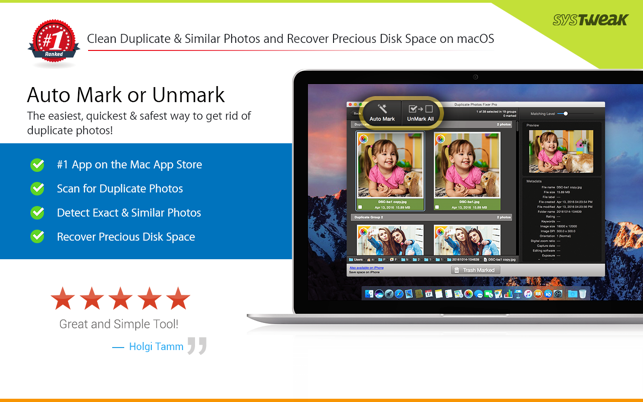 Duplicate Photos Fixer Pro is extremely fast when it comes to scanning and comparing a large number of photos within seconds. 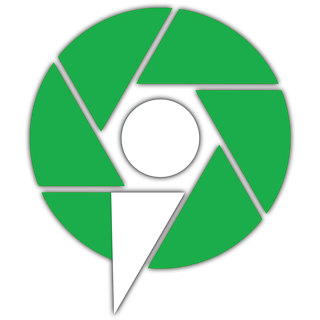 This is due to the powerful algorithms injected during the development of this tool that make the search of duplicate photos extremely fast, giving excellent comparison results. Without re-comparing photos, you can re-group the comparison results by changing the matching level on the slider in real-time. Use the Auto-Mark feature to mark all duplicate photos in every group except one, depending upon the preferences. 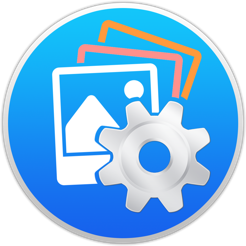 The interface of Duplicate Photos Fixer Pro is designed in such a way that all occurrences of photos are classified into different groups and are viewed as large photos group in each line. Before moving ahead and deleting photos, you can have a clear look at them instead of opening them individually, using this feature. I used this app on a 2015 vintage macbook pro using High Sierra. The app worked for me as advertised and I didn’t need to hit the extra keys that were referenced in several other reviews. I did export the Duplicate Marked Photo’s to an external drive before deleting them from the Photo’s library. Just because I am a belt and suspenders type guy. So far, I haven’t needed to restore anything. And I found that the ‘deleted’ pictures are not really deleted since they end up in the Photos application “Recently Deleted” trash can under “Library”. It says they will stay there for a month before permanently deleting them. That gives my a ‘warm fuzzy” as well. I tried the “Auto Mark” function and it also worked as advertised, but some of the pictures were not really dups, just very similar. For example, all the black and white pics from my daughters wedding were marked as dups of the originals, so I had to go back and uncheck them after the “Auto Mark” process ran. I would recommend not trusing your pictures to the automark function unless you are more of a gambler than I am. All in all, I think the program has value (I got it on sale for $.99) and saved me some time and a little disk space since I was able to delete about 500 dups from a library of about 10,000 pictures. I wish it would let me chose which folder to delete out of. I have duplicates in several different folders and I would like to keep them in a specific fold I’ll use “best photos” as an example. It tells the file name but not what folder it is in or even what drive it is on. If I have that same photos saved in my “general" photo library or a "card dump" folder I want to keep the one in “best photos” and get rid of the copies in “card dump” or “general”. I have purposely shrunk down the file size of many files and cropped others so I want to save the SMALLER size (but still not to be confused with a thumb nail) There doesn’t seem to be a good way to do that either. At least if the folder issues was fixed I could put all my edited photos in a folder and then tell it to save all the edited photos and trash all the others. It does do pretty good a detecting dupllicate photos. Though on screen shots it doesn’t do very good. It thinks becasue the header, footer, time frame and location are the same the whole photo is the same which is VERY not the case. It’s still better than trying to do it manually but I still have to do a lot of looking at each grouping before I hit delete. I purchased the pro version. I finds the duplicates, puts them in the a separate album, then the directions say to delete everything in the album. O.K. So I have made duplicate of my duplicates, put them in the album and deleted the duplicates of the duplicates from the album. Called support, before even asking me what the problem was, the rep asked to be given access acn control of my computer. That is absurd. I explained the problem as was told to try uninstalling and reinstalling the app. I’ll try it, and if it works, I’ll update my review. But I don’t see how it will do anything. Called customer support a second time and was told that the application was not compatible with a MacBook Air. Since the macs use the same operating system (or variations of it) that didn’t make sense to me. Went through the various reviews and found the answer. Once the marked duplicates album is created, you select all the photos in the album and then hist control & command and click on the mouse. That give you a different delete option than from the pull down screen. Kind of crazy that I could find the solution in the reviews, but the technical support is not aware of this solution.